Chelsea return to Premier League action on the weekend when they travel to Everton on Sunday afternoon. 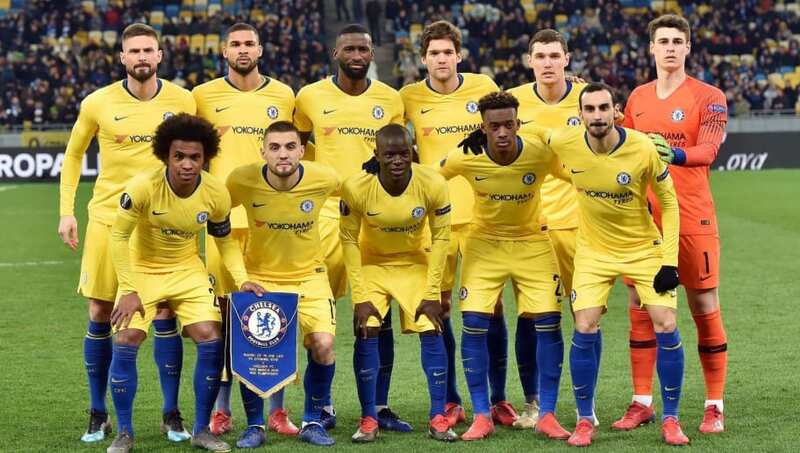 The Blues return to domestic affairs after an emphatic victory in the Europa League, as they beat Dynamo Kiev 5-0 in Ukraine and 8-0 on aggregate to progress to the quarter-finals. Chelsea manager Maurizio Sarri has no fresh injury concerns, though striker Gonzalo Higuain may still be unavailable after missing Thursday’s win with a fever. Here’s a look at the best potential Chelsea lineup to face Everton on Sunday. 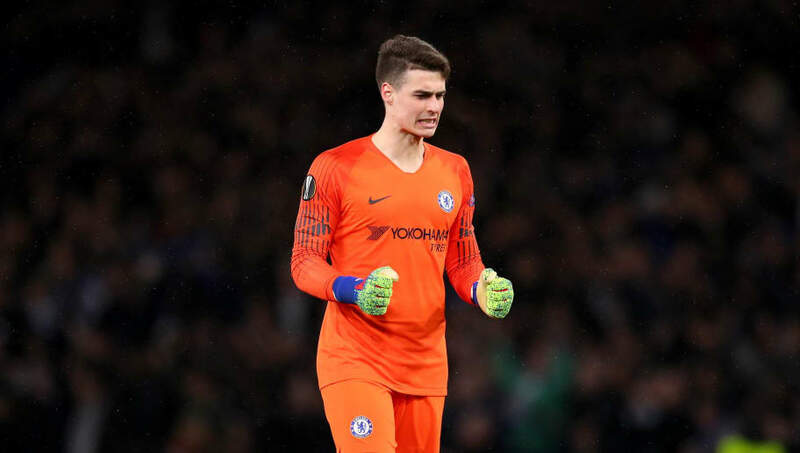 Kepa Arrizabalaga (GK) - Arrizabalaga will retain his place in goal, and will be eager to repeat his man of the match performance in the Blues' last league win over Fulham. The Spaniard has made 41 appearances this season, keeping an incredible 19 clean sheets in the process. Cesar Azpilicueta (RB) - Another player rested on Thursday for Davide Zappacosta, Chelsea captain Azpilicueta will make up the back four. The experienced Spaniard has made 43 appearances this season, registering an impressive eight assists in the process. David Luiz (CB) - After a deserved rest in Thursday's win, Luiz will return to the Chelsea back four for the trip to Everton. The Brazilian has formed a strong centre back partnership this season, making 37 appearances under Sarri. Antonio Rudiger (CB) - Luiz will return to his usual partnership with Rudiger, who will make his 39th appearance of the season. The German has good memories against Everton, having scored his first Chelsea goal against the Toffees in an EFL Cup win back in October 2017. Marcos Alonso (LB) - Although Emerson seems to be Sarri's new first choice left-back, Alonso's performance on Thursday should be reason enough for him to start on Sunday. He got a goal and an assist in Ukraine, producing a wonderful performance for the Blues. 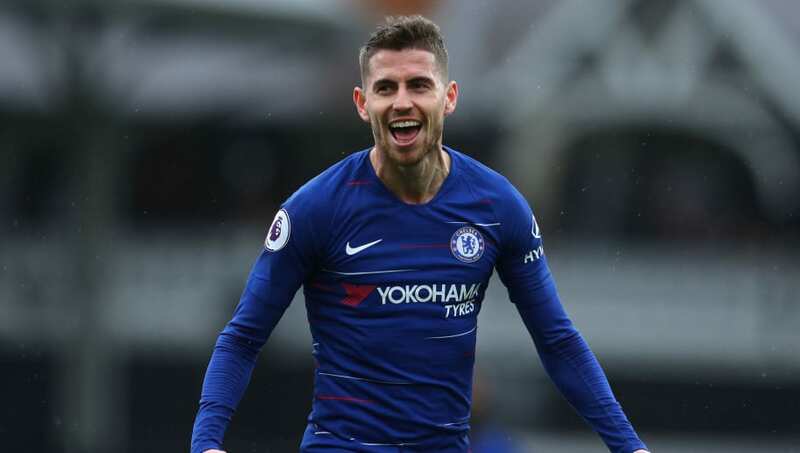 Jorginho (CM) - Jorginho is another player who should regain his starting spot following a rest on Thursday. Although he has received strong criticism recently, the Italian playmaker remains a key player for the Blues, having played 40 times throughout the campaign. N'Golo Kante (CM) - One of Chelsea's star players this season, Kante must be at the top of his game for the trip to Merseyside. The World Cup winner has four goals and four assists this season, and will be eager to continue his fine form when they play Everton this weekend. Mateo Kovacic (CM) - Despite an outstanding performance from Ruben Loftus-Cheek in Ukraine, it's likely that Kovacic will make up Chelsea's midfield against Everton. The Real Madrid loanee has played 40 times this season, and looks likely to add to that on Sunday. Pedro (RW) - Pedro should make up Chelsea's attacking trio on Sunday, just getting in over Willian. The Spanish winger is in excellent form for the Blues at the moment, with nine goals and three assists this season for the pacy forward. 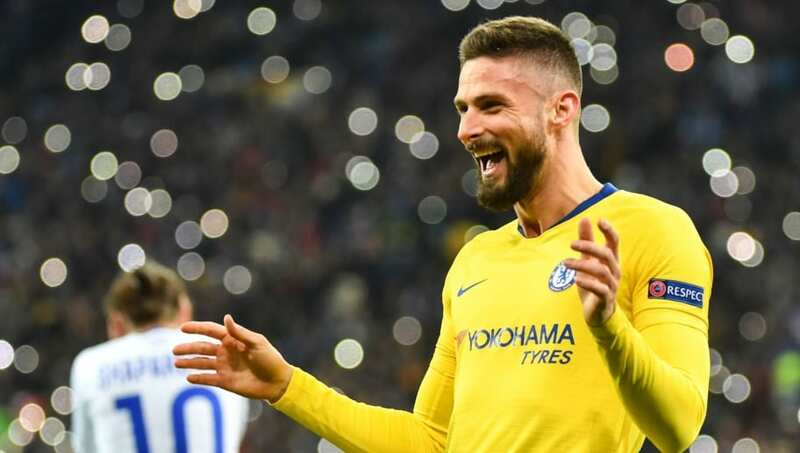 Olivier Giroud (FW) - With Higuain a doubt and having scored a superb hat-trick midweek, Giroud will likely get the nod for the trip to Everton. The Frenchman has scored ten goals this season, though it's a concern that only one of them has come in the Premier League. Eden Hazard (LW) - Hazard is in the form of his life right now, and will undoubtedly be Chelsea's brightest spark at Goodison Park. The Belgian's stats for this season are world class, with 16 goals and 11 assist for the Blues throughout the campaign.